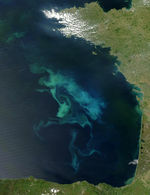 These true-color Moderate Resolution Imaging Spectroradiometer (MODIS) images acquired by the Terra and Aqua satellites show southern France in late fall 2002. 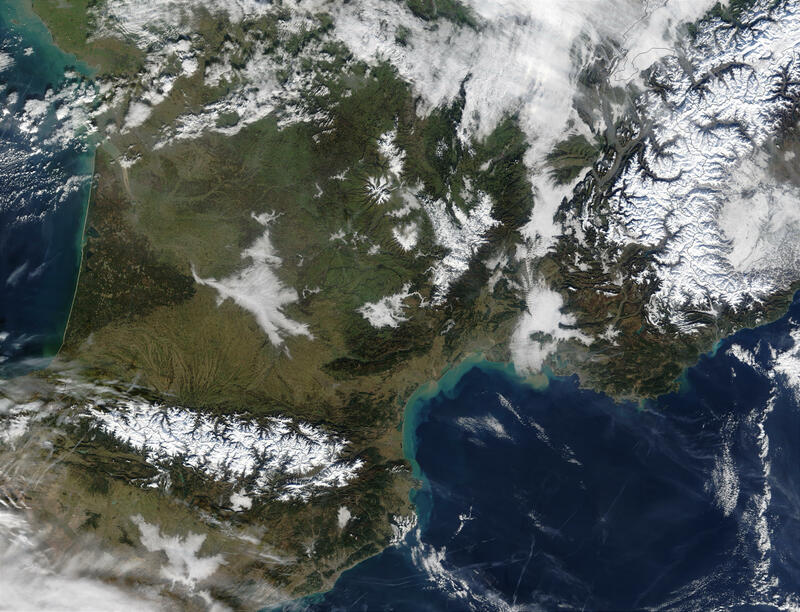 At lower left the rugged Pyrenees Mountains, which separate France from Spain, are barely snow-covered in the early part of the series, but become blanketed in white by mid-December. Right of image center, the Alps separate France from Italy. At upper left is the Bay of Biscay. 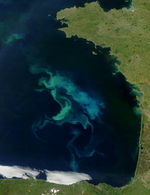 At lower right is the Mediterranean Sea.